March 27, 2013, 11 a.m.
By Caroline O’Donovan @ceodonovan March 27, 2013, 11 a.m.
Gilbert teaches a course on online communities. (“Twenty-five or thirty 22-year-olds and me sit around and talk about the Internet. It’s pretty great.”) One day, during a class discussion on Reddit, some of his students expressed a shared frustration. When you post a link on Reddit, you want it to become as popular as possible. Gilbert’s students described sharing a link that fails to become popular, only to see it rise after being posted by another Reddit user later on. Gilbert told his students he would run back to his office and try to figure out just how often this happens. His findings surprised him. Of the links that make it to Reddit’s front page, 52 percent had been shared at least once before — by a different user — before finally achieving their full glory. Titles are often witty, timely and sometimes reﬂect Reddit’s idiosyncratic values. Perhaps the second or third submitter of the same link comes up with a better title, piquing everyone’s interest in a way the original submitter did not. Do redditors vote on the underlying link or on how well someone sells the title? In our data, while most resubmitted links have different titles, we ﬁnd that most contain a majority of words from the original submission. If re-titling signiﬁcantly explains our ﬁndings, then the mechanism is probably subtle. Gilbert advanced one other possibility for the phenomenon he describes: Reddit’s minute-by-minute aggregation of the news as it broke across various outlets and platforms, especially Twitter. Image by ▓▒░ TORLEY ░▒▓ (awesome) used under a Creative Commons license. POSTED March 27, 2013, 11 a.m.
O'Donovan, Caroline. 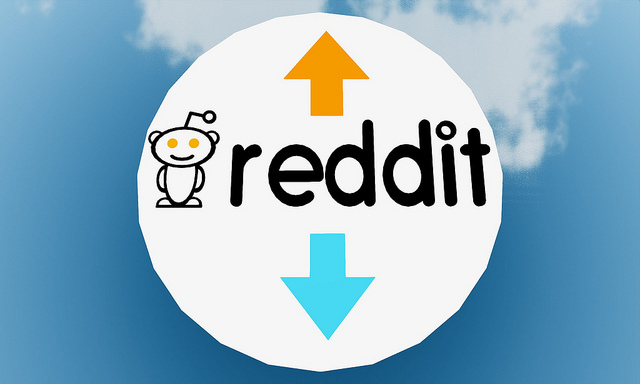 "On Reddit, good links rise to the top — but it can sometimes take a few attempts to get there." Nieman Journalism Lab. Nieman Foundation for Journalism at Harvard, 27 Mar. 2013. Web. 24 Apr. 2019. O'Donovan, Caroline. "On Reddit, good links rise to the top — but it can sometimes take a few attempts to get there." Nieman Journalism Lab. Last modified March 27, 2013. Accessed April 24, 2019. https://www.niemanlab.org/2013/03/on-reddit-good-links-rise-to-the-top-but-it-can-sometimes-take-a-few-attempts-to-get-there/.